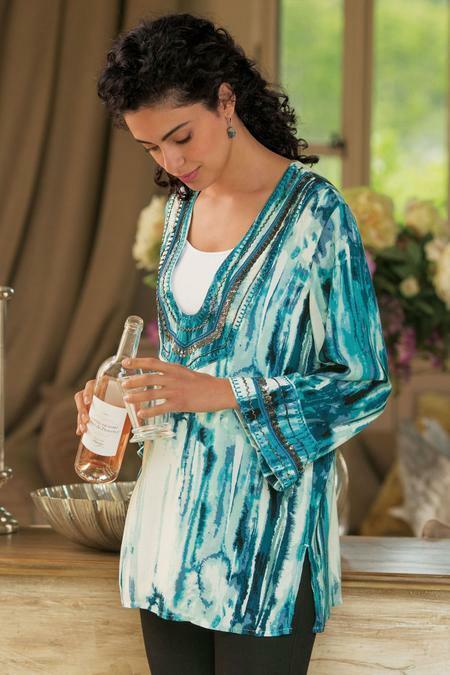 This straight-bodied, challis woven tunic is rotary printed for a one-of-a-kind artistic look. Embroidery, sequins and tube beads frame the deep V-neck and long, bracelet sleeves. Viscose. Misses 30" long.